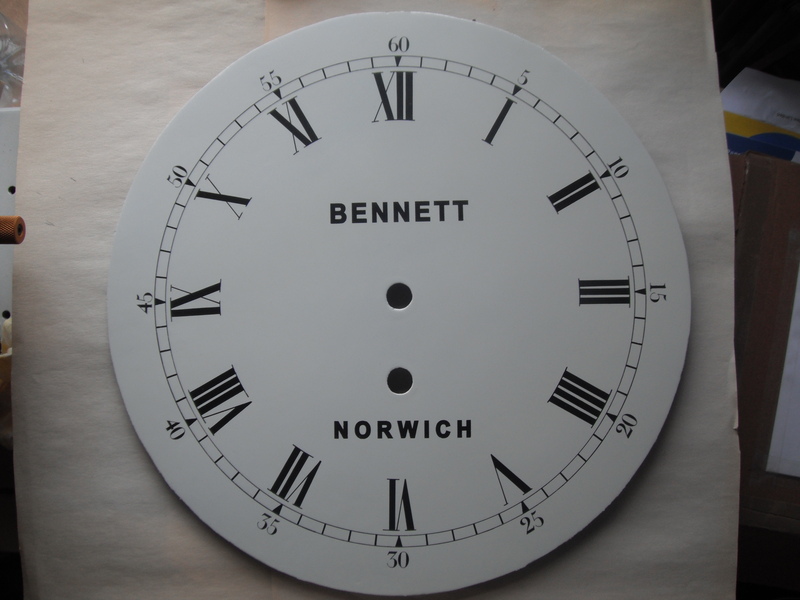 Established in 1974, we are a small family business specialising in the restoration and repair of enamel / porcelain clock and watch dials. 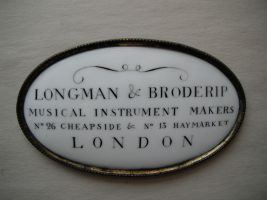 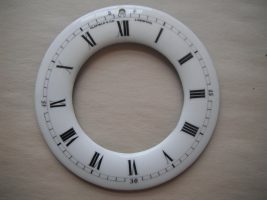 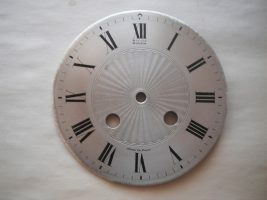 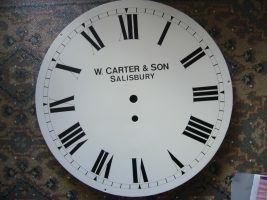 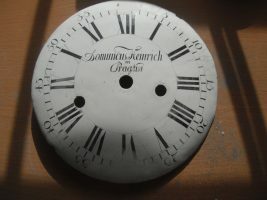 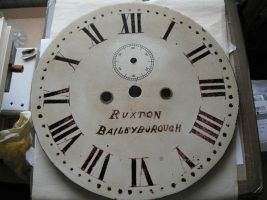 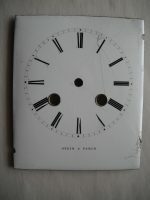 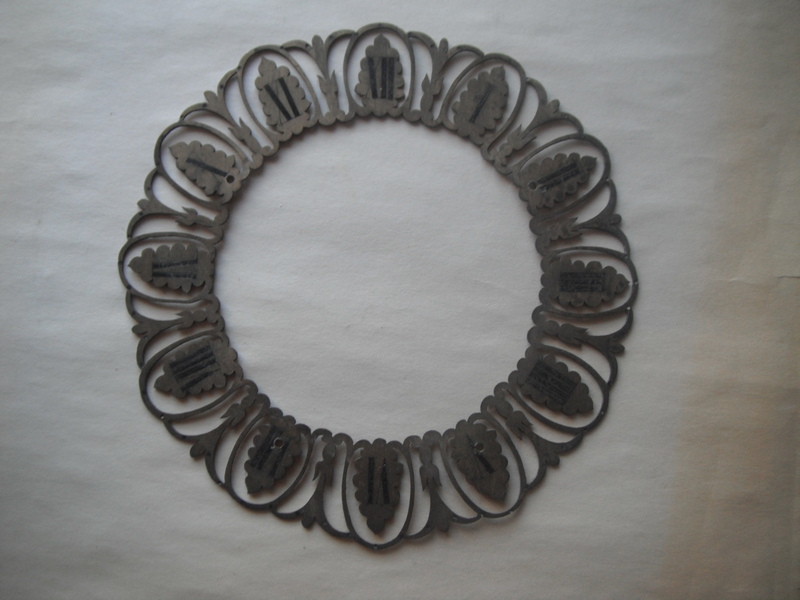 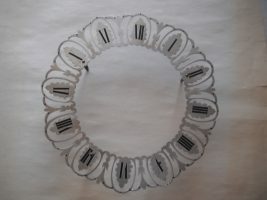 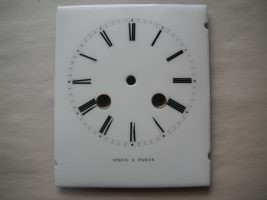 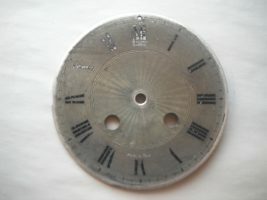 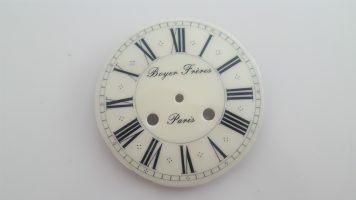 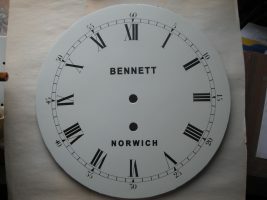 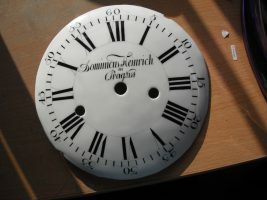 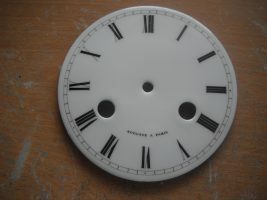 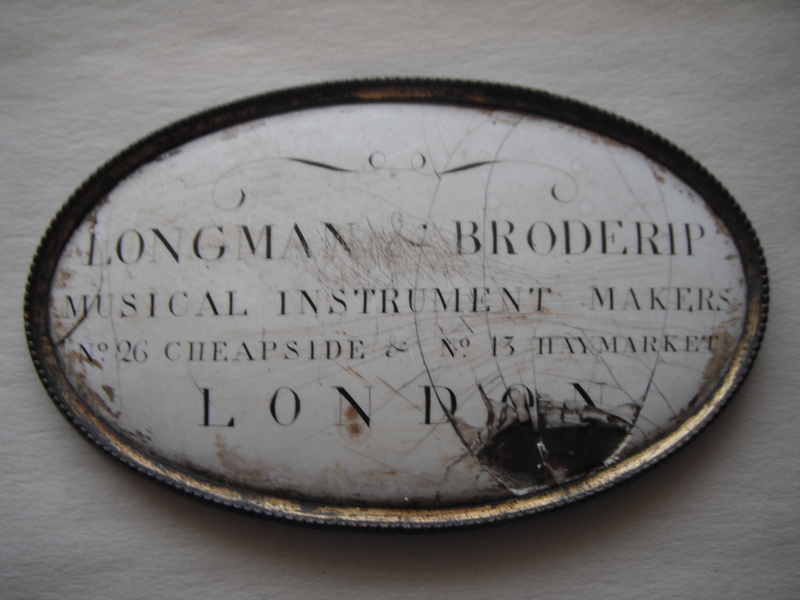 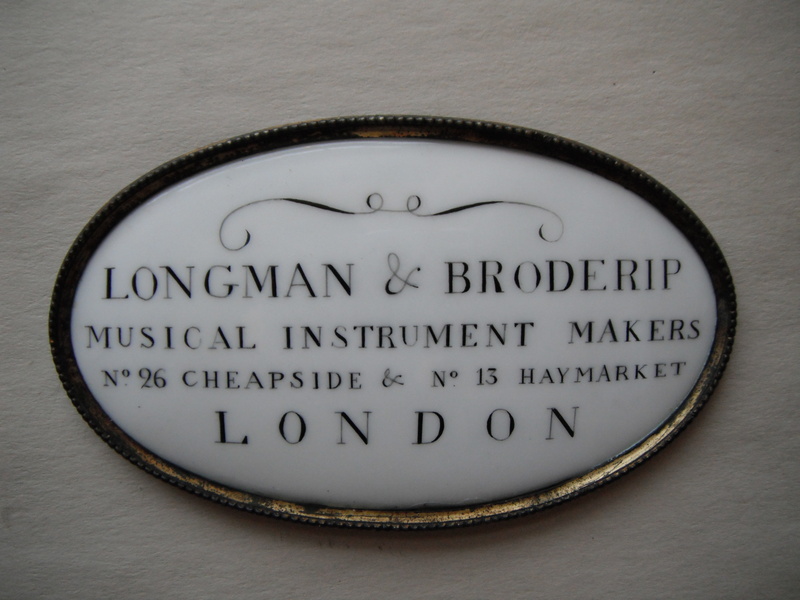 Initially the business was formed as a result of its sister company, Lynton Clocks, being unable to locate a suitable repairer for dials with chips or cracks or other damage to enamel dials. 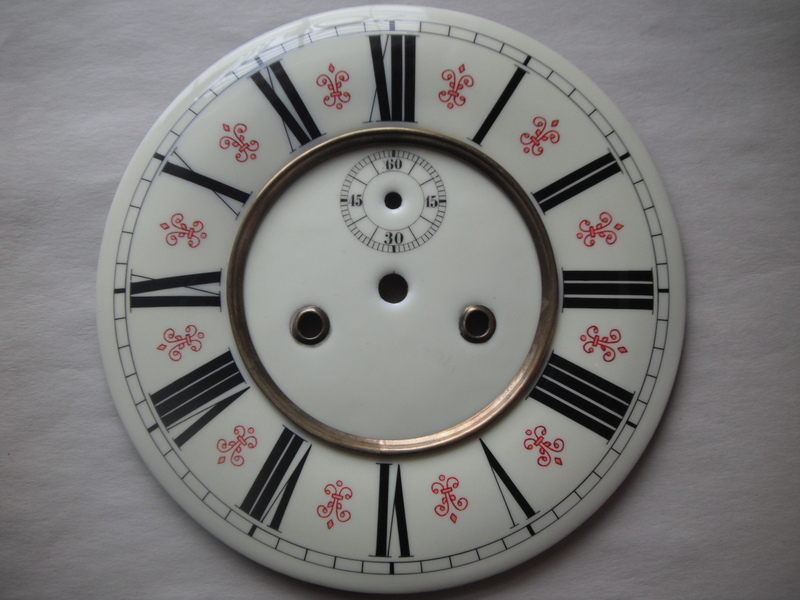 The service has developed over many years and now provides the professional horologist, collector and enthusiast alike with the facility for repair and renovation of damaged enamel or porcelain dials. 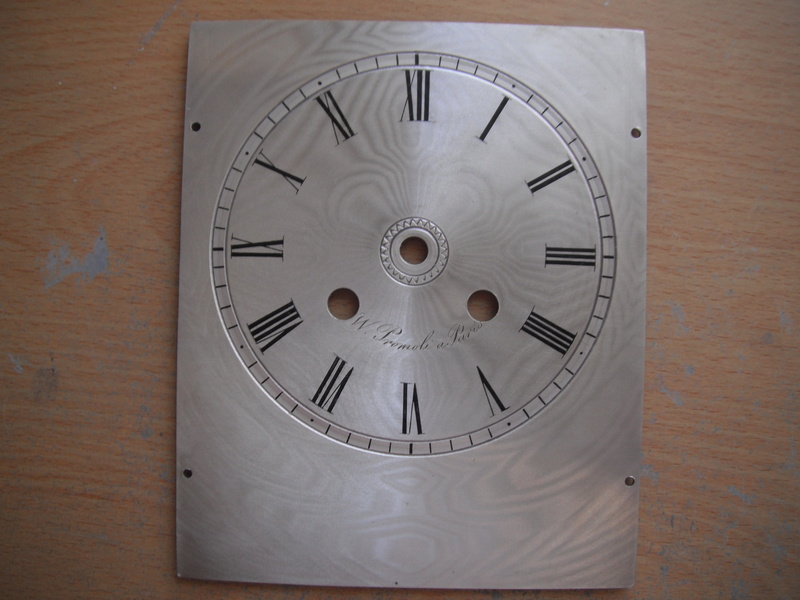 We produce high quality work to customers around the world. 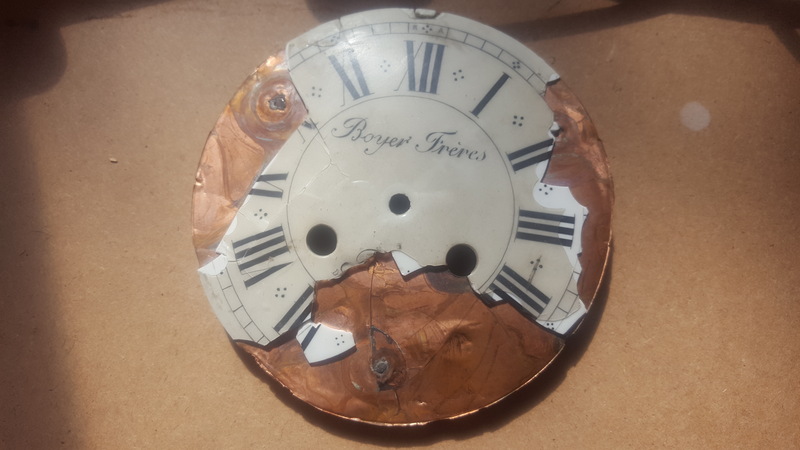 We restore dials for carriage clocks, french clocks, ships clocks, vienna regulators, eureka clocks, bracket clocks, german clocks, pocket watches and more. 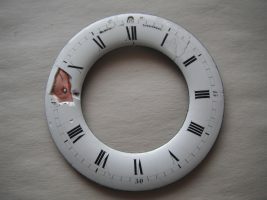 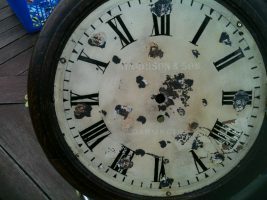 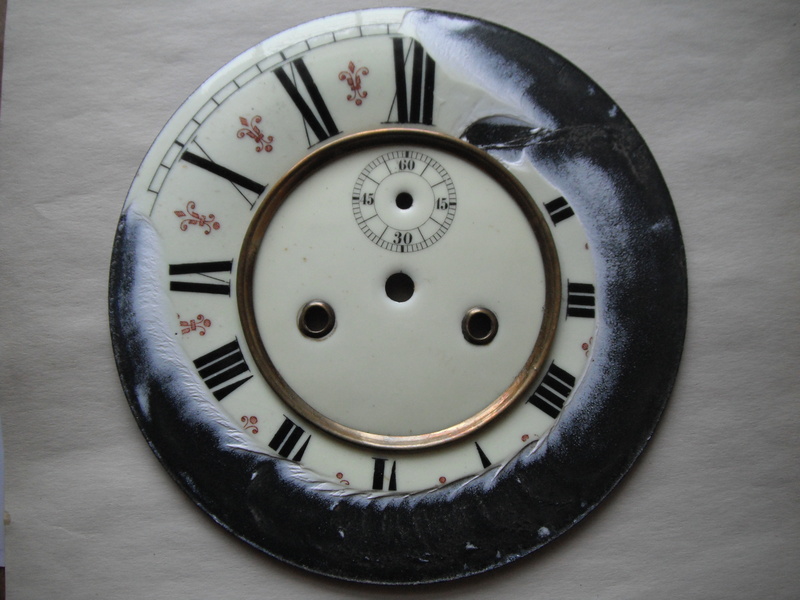 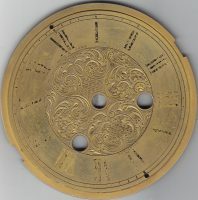 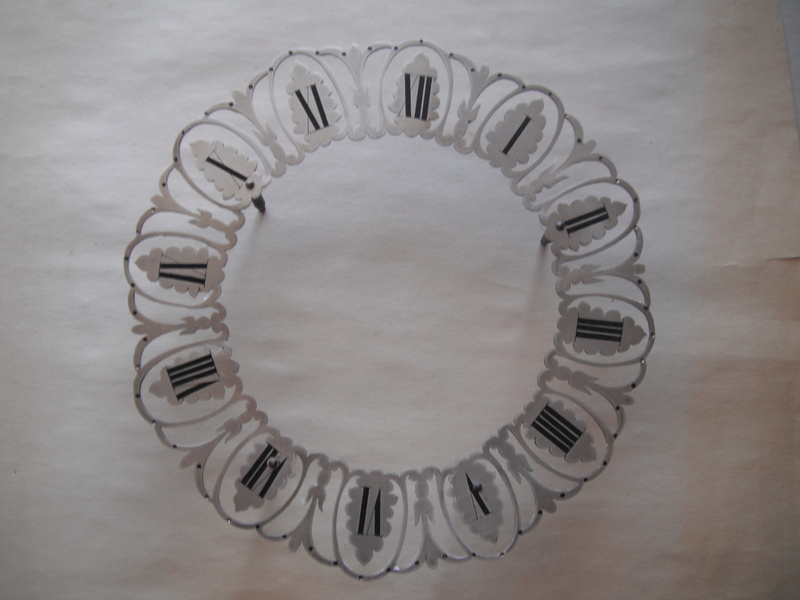 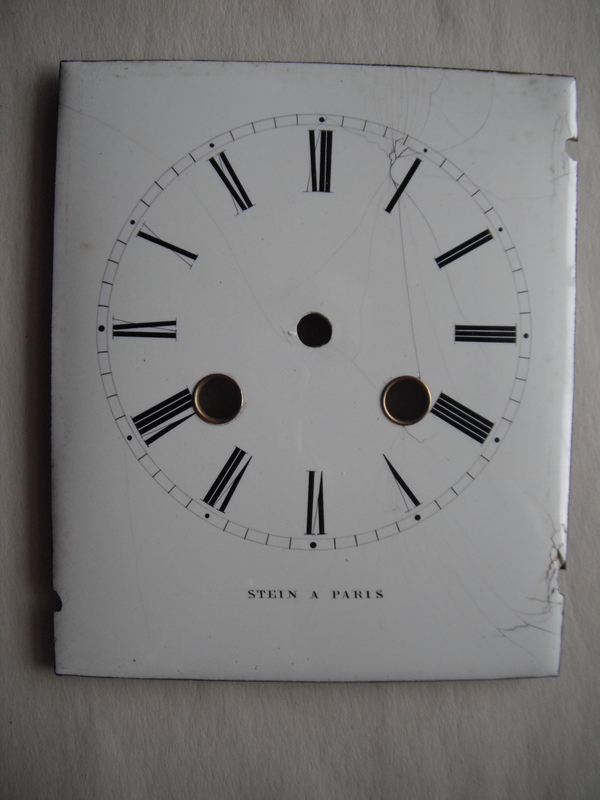 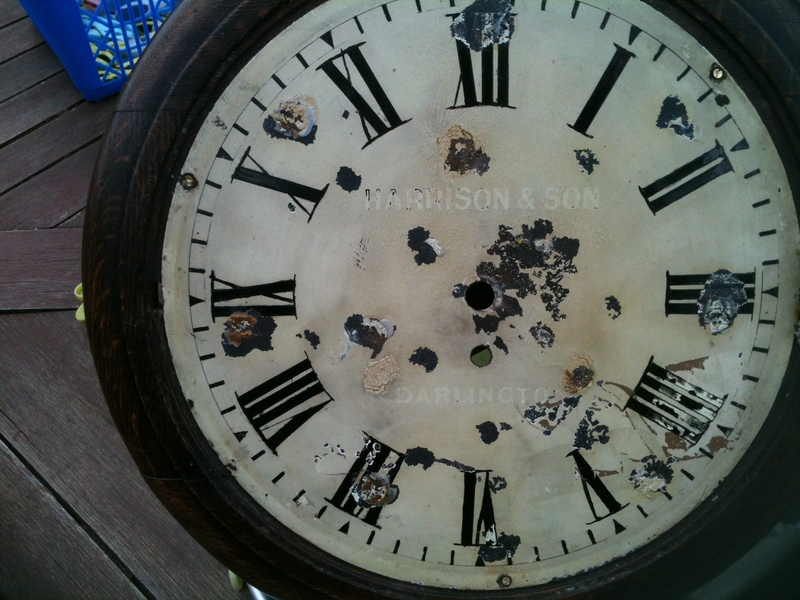 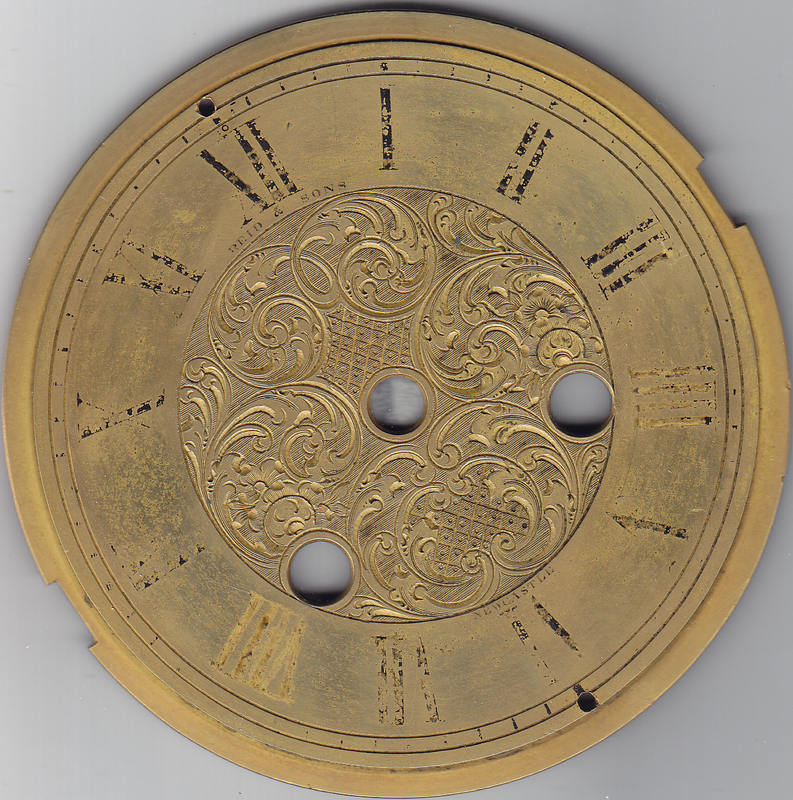 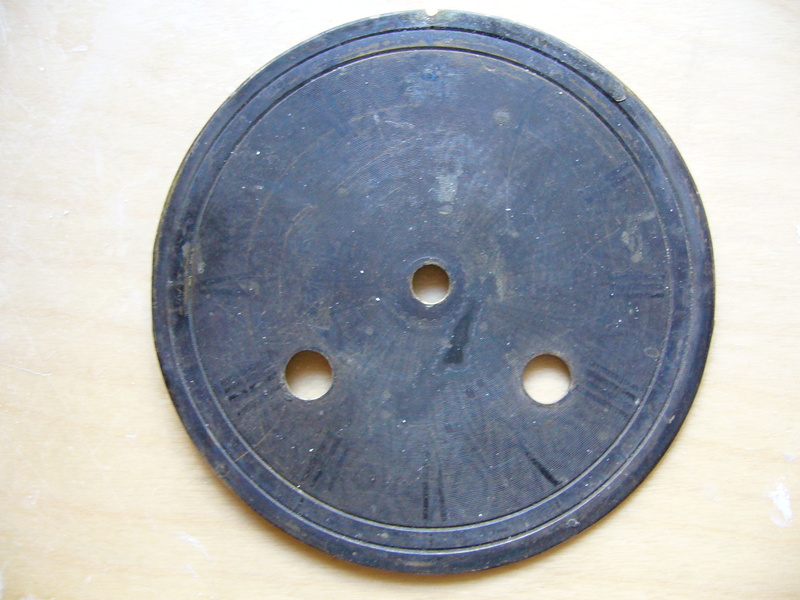 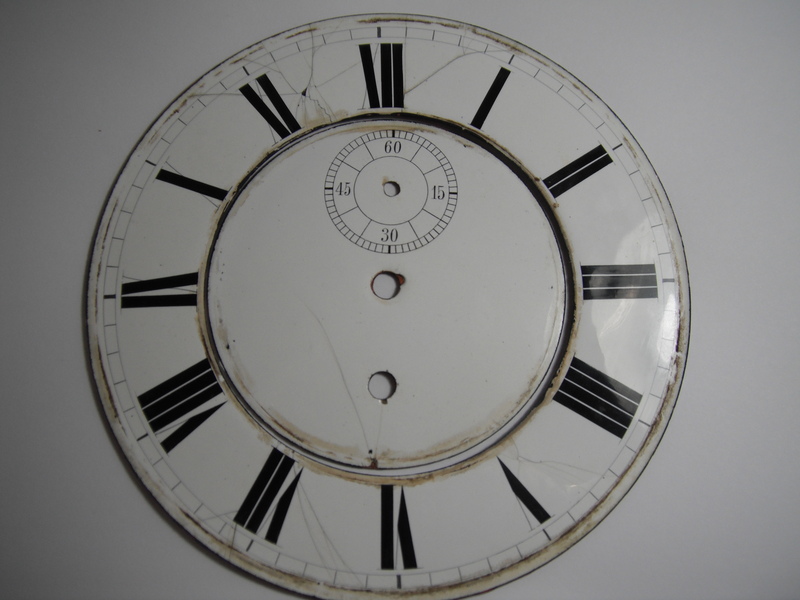 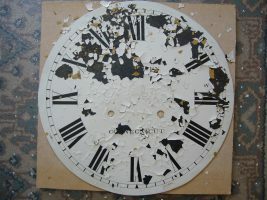 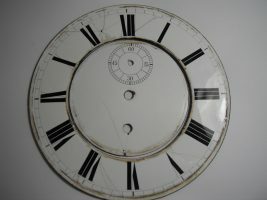 A damaged dial not only detracts from the appearance of the clock or watch, but can also devalue the item. 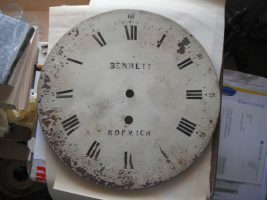 Unfortunately, vitreous enamel dials cannot be restored by simply filling the cracks and chips with more vitreous enamel. 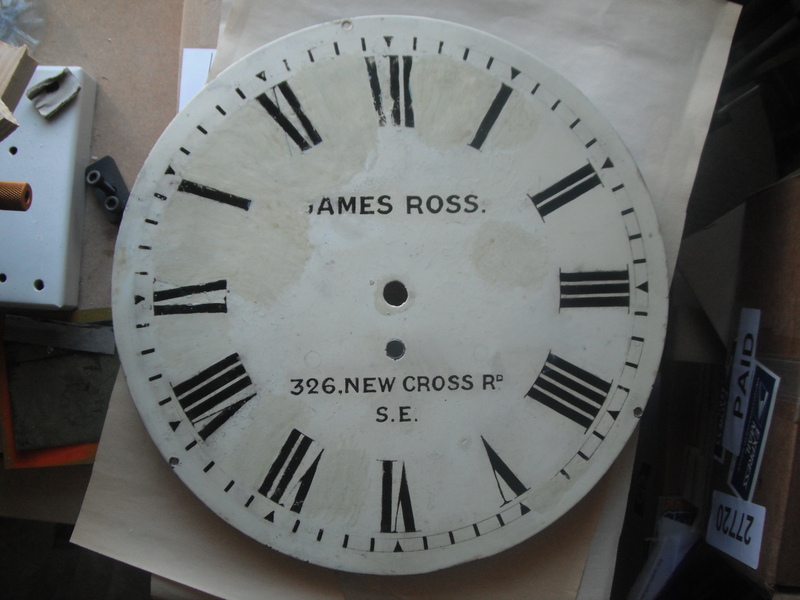 The dials which we restore are, in some cases, hundreds of years old. 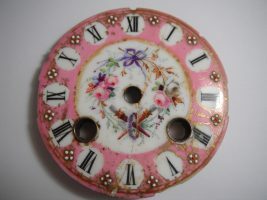 The vitreous enamel used in the present day has a very low lead content and differs considerably from the old enamels. Some enamels used then were soft whilst others were hard. 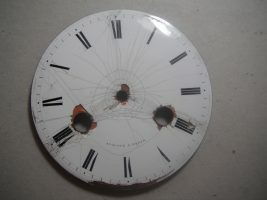 All were fired at differing temperatures. 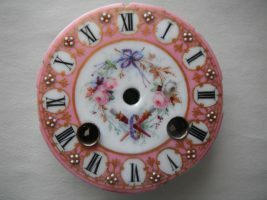 Various enamels were Continental and some were English and it is difficult to identify the type of enamel used. In addition, the enamel of years ago contained a large amount of lead which gave the dials a very shiny surface and appearance. 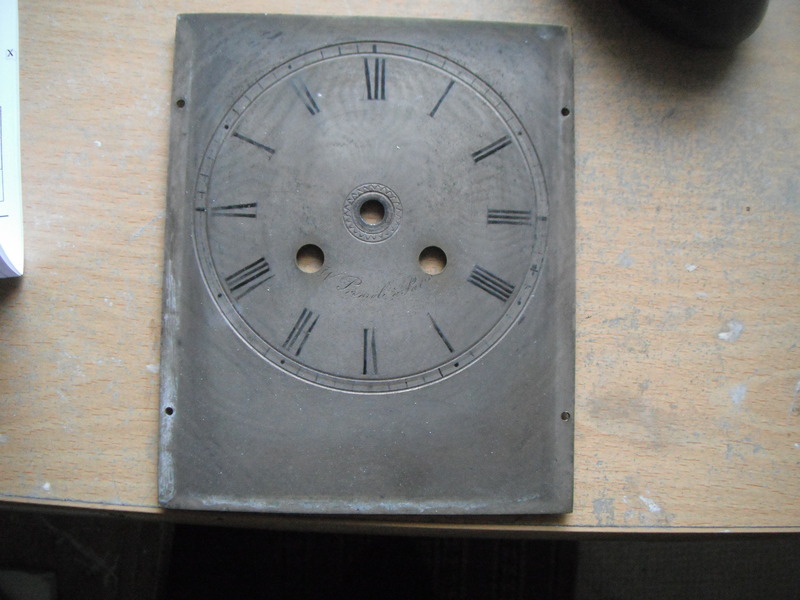 We can successfully restore a dial using a low bake method. 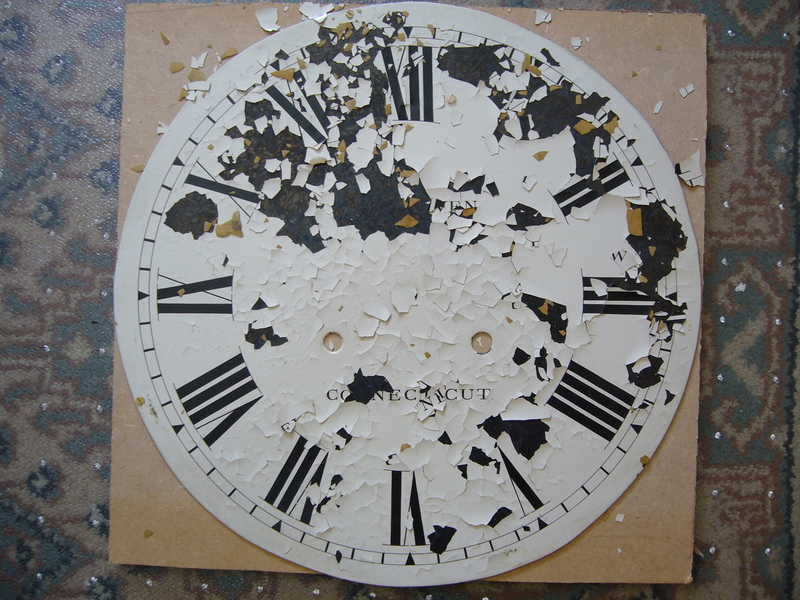 The repair cannot be seen, and does not discolour with age. 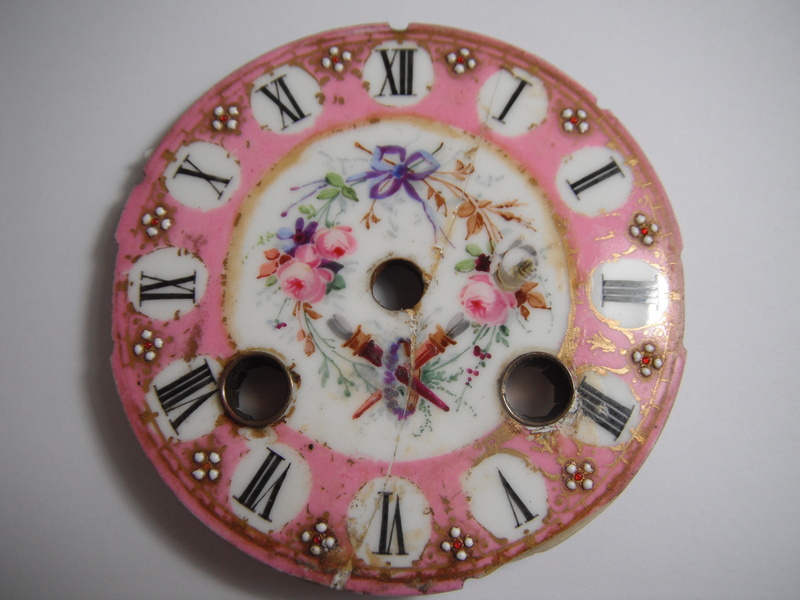 We can restore enamelled dials of all colours and types. We always restore the very same dial that you send to us. 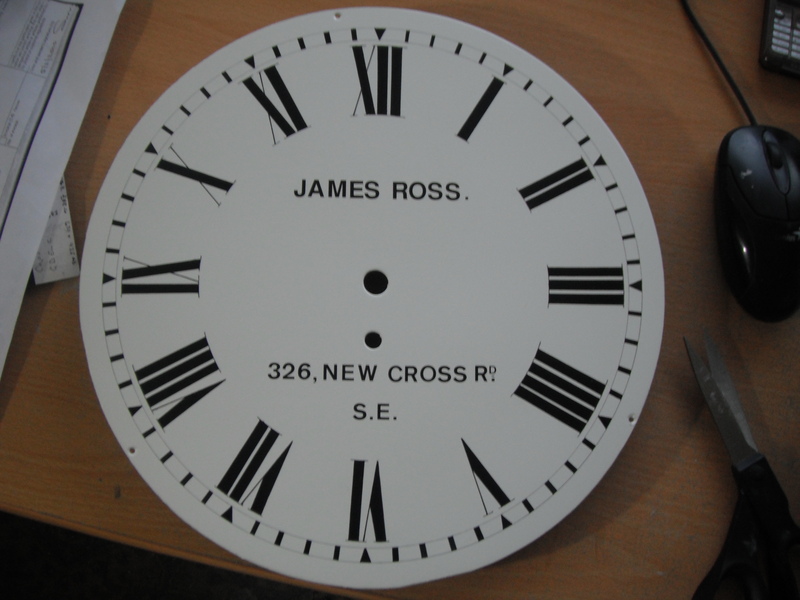 As such, all of our work is a ‘one-off’. 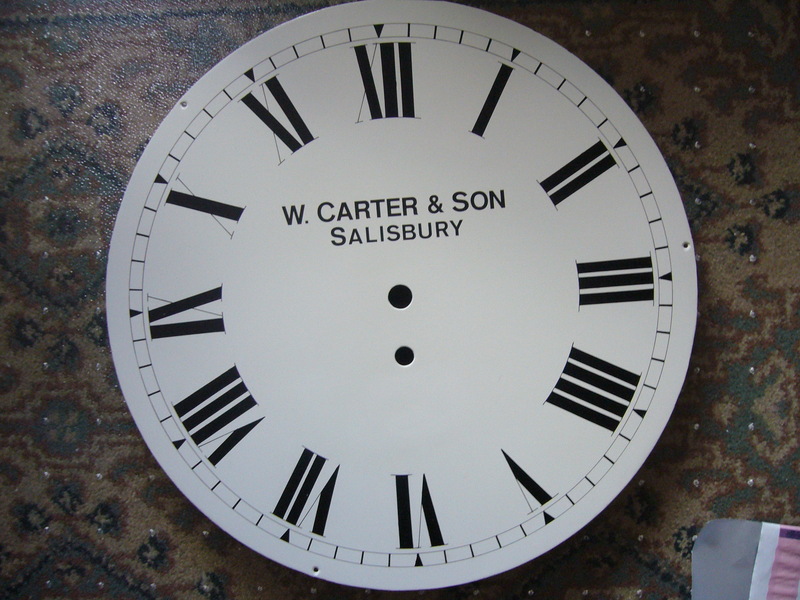 We will be pleased to discuss your requirements and give advice or assistance if you would like to contact us. 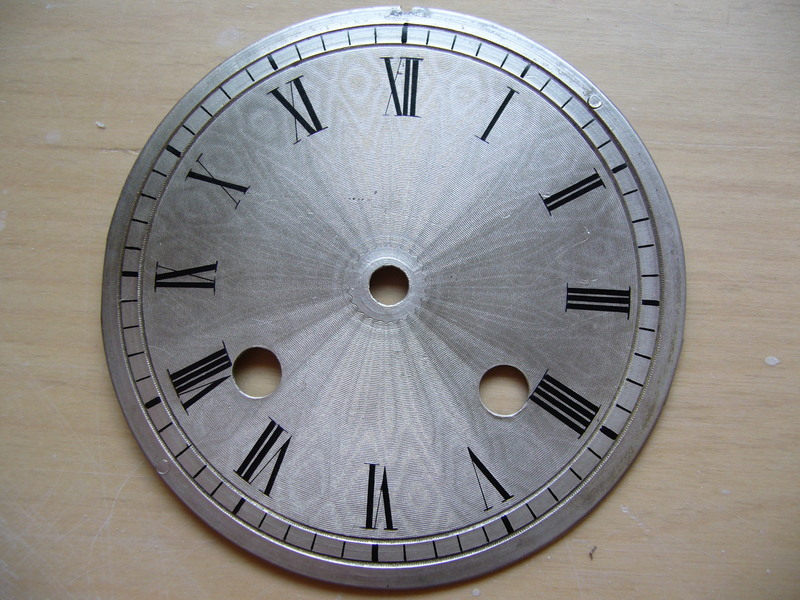 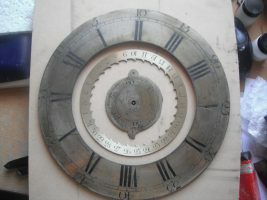 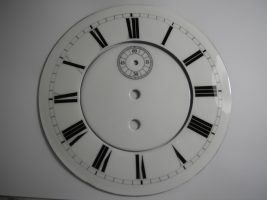 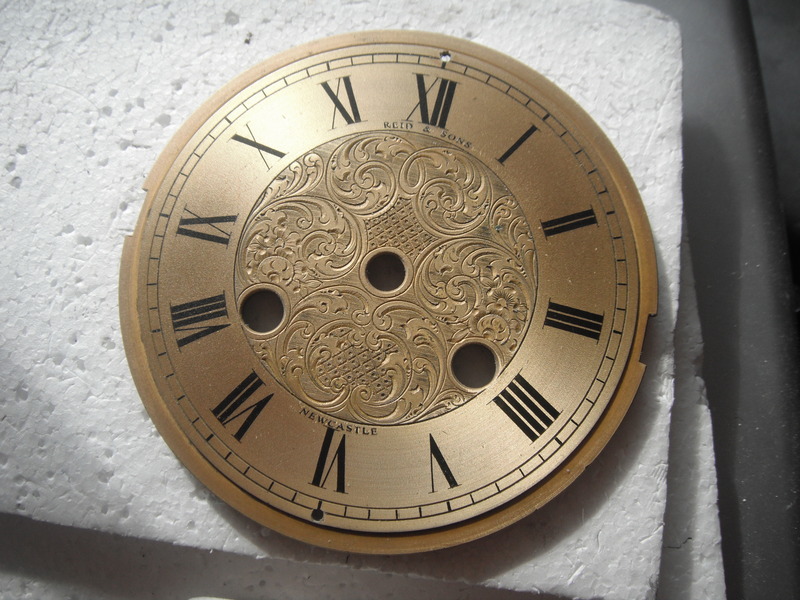 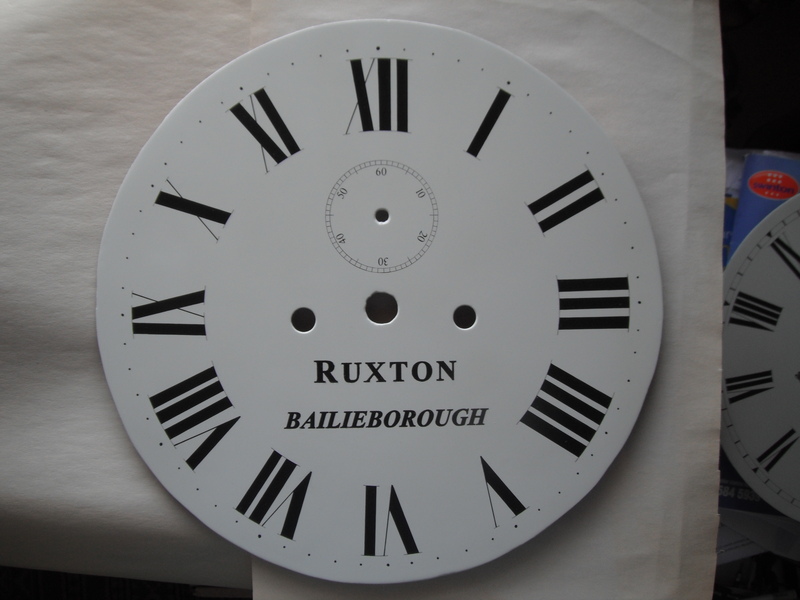 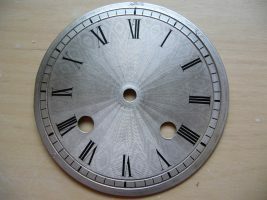 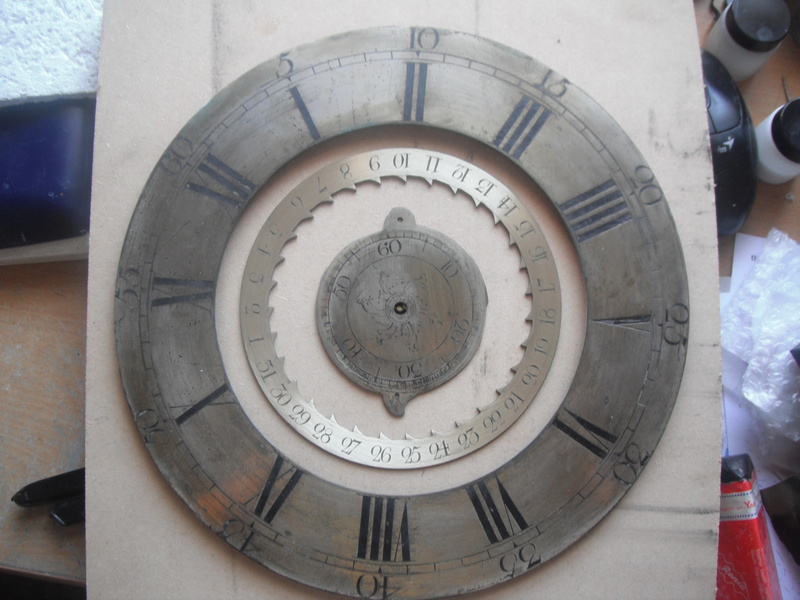 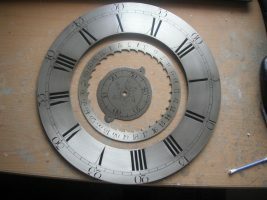 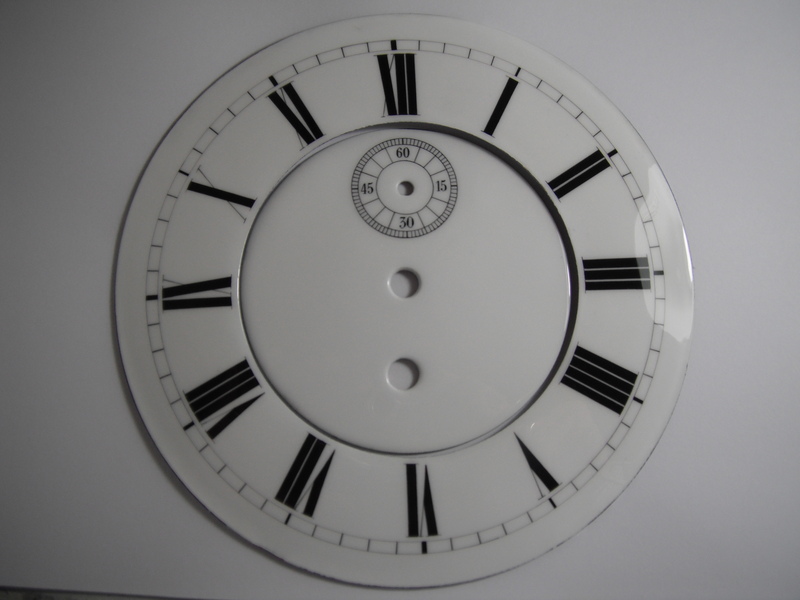 We also carry out a restoration service for painted and silvered dials to a high standard. 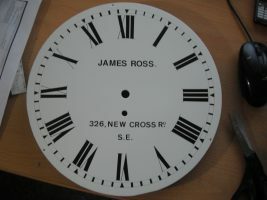 Please enquire for details, as with enamelled dials. 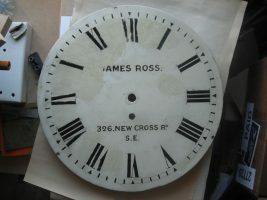 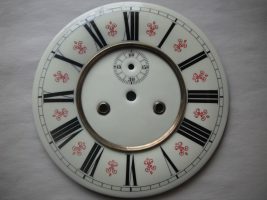 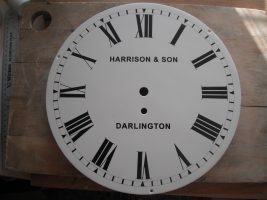 Due to our commitments with enamelled dials, we are currently only able to restore black and white painted dials (ie Dial and Drop Dial Clock dials– School / Station clock not Grandfather clock dials). 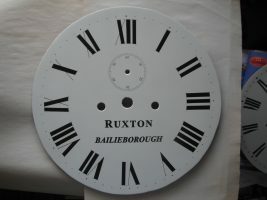 We also restore Barometer dials.